Using Skype for Business - Is It a Good Idea? Using Skype for Business – Is It a Good Idea? It's safe to say that technology has given businesses a huge advantage when it comes to reaching out to their consumers and clients, as well as promoting their products and brand to more people outside of their local area. Not just in terms of computers and programs, but with smartphones, laptops, and tablets. With technology, employees need not be content to work in the office cubicle, nor do meetings need to occur within the city itself. Skype, for instance, opened the door for many to connect with loved ones who lived outside of the state or country with their free calling and video conferencing to other members using Skype. For businesses, this usage cuts down on the expenses of calling out of state manufacturers or when discussing a merger with a company outside of their country. Using Skype for business use is a great idea for many, however there are always cons to the use of anything that says it is free. works by having users download the application to their computer and then setting up their contact list. From the contact list you can call people, as well as send them instant messages over a high-speed Internet connection. In terms of business, Skype is a great alternative. Due to the economic downturn, many businesses had to downsize or completely scrap many of their resources in order to stay afloat; for home office or small businesses, the cost of phone plans can be high, especially when contacting customers or clients. This is why Skype is great for these types of companies. 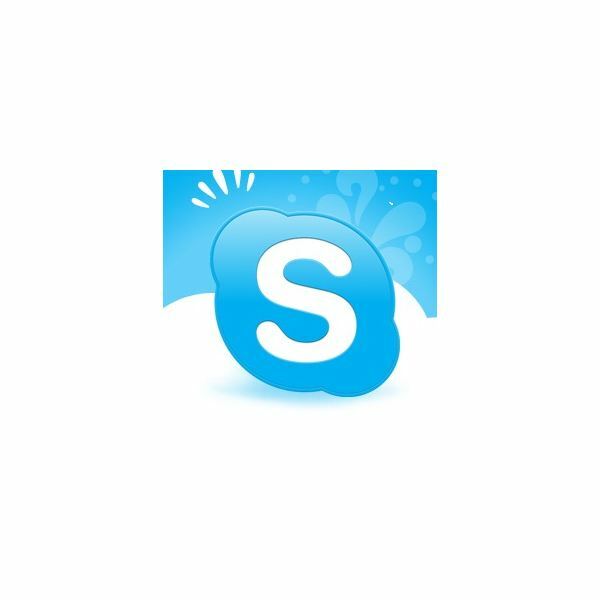 Skype has many features for free such as calling other Skype users, instant messaging, screen sharing (for presentations), and conference calling. Extra features like the group conference calls and the ability for your own Skype number are only $3.00 a month. There are many benefits to using Skype for your business or company, but there are also some downfalls that business users should be aware before they jump in with both feet. As stated, the free and low-cost calling of using Skype is ideal for small businesses, but also large corporations and enterprises. While it shouldn't be used to replace the standard phone line, Skype shines in terms of its long distance and international calls. With many employers outsourcing or utilizing consultants and freelancers, the ability to reach these workers through more than just email or IM is where Skype is very useful. In fact, many companies around the world use Skype and will often require that employees also use the program in order for phone calls or video conferencing. There are times in which email and IM just won't convey a message, especially when working with others in different time zones, different cultural beliefs and ideals, and different languages. As with everything in life, there are a set of cons that work against using Skype for business calling. The number one issue is that of using the Internet for calling or conferencing. While most business will have some sort of high-speed Internet connection, the quality of this connection is paramount when it comes to making and receiving calls. One blip within the data transfer causes call quality to change and can even drop a call. There's also the occasion of weather affecting connections. Another big issue is that of security of the IM application. The ability to share links, photos, and files always comes with a high degree of uncertainty due to malware and viruses. While individuals using Skype have to worry about their computers becoming infected from a rogue link or file, businesses have a bigger concern as malware could hit the entire network. Consider that you save all your files to that of a small server and that you receive a file through a Skype IM. Maybe unknowing to the sender or perhaps deliberately, that file contains malware – like a Trojan horse or even a keylogger – that when clicked and opened, allows this malware program to run rampant on your server. While most antivirus software programs will catch these, sometimes malware programs can disable antivirus software or if your company has just started, maybe you haven't had the chance to install one to the server. In some cases, a complete reformat is needed to make sure that the virus is gone completely; unless you have completely backed up your files, you could lose everything in the blink of an eye. Skype can be a great way to cut costs if your business or company is just starting or you just need to get by for a short amount of time. As for long term, the cons of Skype may not work well for you, especially if the area you live in is prone to having weather issues or if you experience a lot of downtime with your Internet connection. As mentioned on the official website, Skype shouldn't be used as a replacement phone line, especially when the program doesn't offer the option to dial emergency services. In the case of a home office, having a permanent landline or main cell phone is best for those local calls, while in the business environment, a landline should be essential for local merchants, but Skype can be a supplemental addition.